This application note was designed to use the Arduino Uno to light the LEDs on the Pmod 8LD like in a famous television series from the 2000s. Fritzing file displaying the connection of the Pmod 8LD to the Arduino Uno. 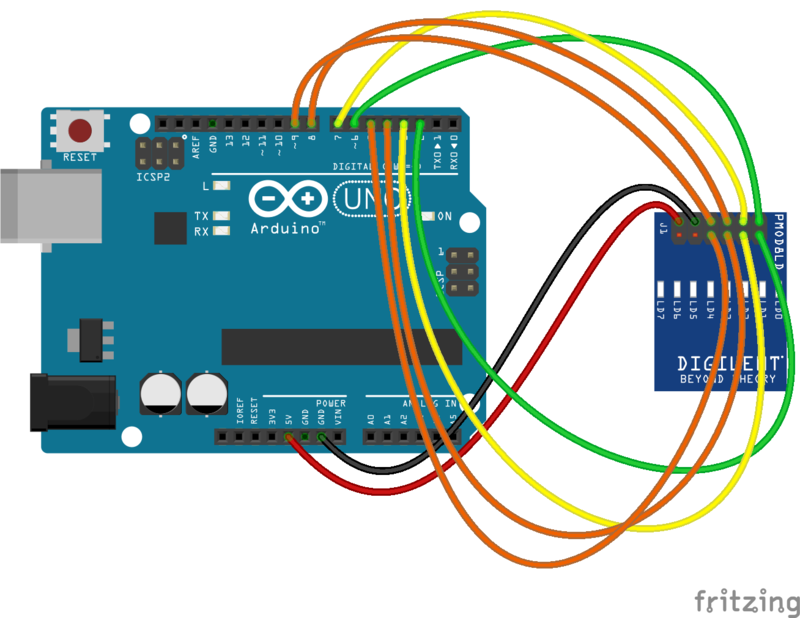 Fritzing image displaying the connection between the Pmod 8LD and Arduino Uno. Using this code will light up the LEDs on the Pmod 8LD.